Presence of red and yellow lines around the surface of the leaves. Tree felling - here we bring down the tree. Stump removal - getting rid of the tree stump including its roots. Site clearance - involves removing trees from a piece of land intended for other purposes. Tree trimming - removing some parts of the tree to maintain the beauty and accelerate growth. Let an experienced Arborist handle the task. Call us today! Tree accessibility: A tree that is easy to get to will cost less than one that is sandwiched between buildings or one near a glass house. We will definitely need more time and workforce to remove a tree in the second example. Need for urgent tree removal: Tree removal may cost more if it happens to endanger people or animal lives. This is due to the timely response needed and the danger involved in the tree removal process. 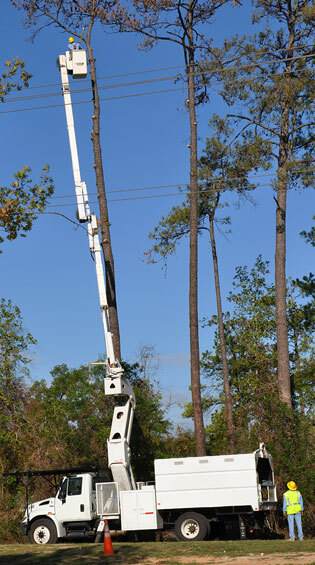 Height and width of the tree: A taller and wider tree will need special or complex equipment and more hours to get the job done. Do not rush into getting your tree removed for low prices. Be on the look-out, have your tree removed by the best local company, one that meets all the legal requirements. Properly examine the surrounding area: Inspect for signs that the tree is likely to fall to one side. It is also important to make sure that there are no obstacles such as the telephone wires, vehicles or other properties where you would like the tree to fall. Make an undercut: An under-cut should be on the direction of the preferred direction of fall. The cut should be a third of the diameter of the trunk. It is advisable to always start at the top and cut downward at angle of 60 degrees. Making a second cut horizontally effortlessly removes the wedge. Make a back-cutout: This is mainly done to eliminate stress from the back and allow the tree to fall easily. The back- cut should be made a little higher than the point of the under-cut in order to leave enough space between the two equal points. This piece of wood between the undercut and the back- cut acts as a hinge allowing the tree to fall within a short time. The tree is then cut using an axe into preferred chunks which are removable by hand. Laytons tree service company is a top-notch all-around tree removal company serving several cities in the state of Georgia. We know that healthy looking trees add beauty to any property. We are committed to long-term goodness of your trees with our tree removal, trimming, maintenance and emergency services. 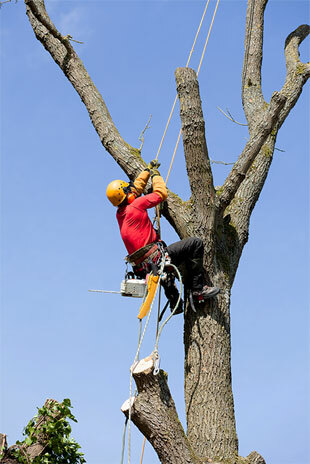 Contact us as your most reliable local tree removal company anytime.